"An intrepid and realistic portrayal of the famous landscape artist, J.M.W. Turner"
Much like the storied works of its titular character, Mr. Turner is a chaotic and beautiful look inside the life of landscape artist, J.M.W. Turner. Set in the twilight years of the painter's life, Mr. Turner opens with an already-successful artist seeking to rejuvenate his passion for the craft, and continue to expand upon his portfolio. A solitary man, Turner (Timothy Spall) is looked after by his live-in housekeeper (Dorothy Atkinson), and father, William (Paul Jesson). Accepted by his peers, and held in high esteem by the aristocracy, Turner is free to travel across Great Britain painting landscapes, and selling his art. With only his sketchbook as his constant companion, Turner crosses the countryside searching for inspiration for his works. Setting up some of the most astoundingly beautiful shots in the film, director Mike Leigh uses the locations of Turner's paintings as transitional elements between events in Turner's life. Progressing rapidly (over the film's one-hundred fifty minute run time) through Turner's final twenty-five years, the segments jump randomly forward in time. Measurable only by the aging of its characters (especially with the progression of Turner's housekeeper's psoriasis), and the progression of Turner's work and his, Mr. Turner, offers little else in terms of historical markers or dates. 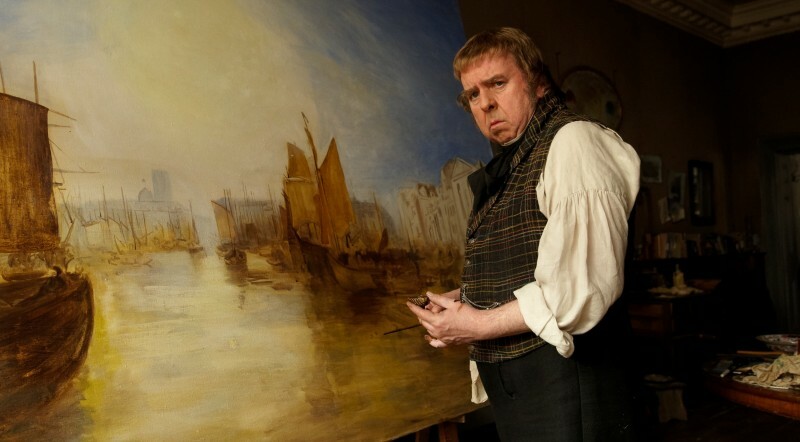 Supported by a talented cast, Mr. Turner stays true to its time period, and offers a respectful and honest look into the life of the “painter of light.” Timothy Spall is astounding as the mumbling and unaffected Turner; seemingly a partial-reprisal of his role as the equally-cold Winston Churchill in The King's Speech (and the London Olympics). Certainly a derisive figure of his time, Turner has the ability to disgust and offend (his habit of spitting on his paintings comes to mind), while also being revered as an artistic genius. Communicating with grunts and snorts to those closest to him, and with eloquent wit and sincerity to strangers and colleagues, Spall presents Turner as a man striving for greatness. While not abusive to his loved ones (aside from various sexual discretions with his housekeeper), he treats those around him as interruptions to his work. For a film with virtually no background information, Spall lends an impressive quality of empathy to his character. Listening from the shadows as others critique his work, or dealing with the death of a love one, Spall brings a certain quiet dignity to Turner in the wake of tragedy or embarrassment. Late in the film after Turner secures the services of a prostitute, Spall swings wildly between absolute composure and grotesque sobbing; serving as both an unsettling reminder of the character's mental state and as a bizarre comic relief. Beyond the flat and monotonous figure of historical books, Spall brings Turner to life in an intriguingly accessible way. Mike Leigh's capable direction brings depth to the timeline, and offer connections between the stationary vignettes. With the knowledge that his audience will not be fully acquainted with the works of Turner (much like myself), Leigh sets up his transitional landscape shots in a way that there can be no question regarding their artistic qualifications. Rich and colorful sunsets, lush green valleys and the stoic, shimmering White Cliffs of Dover – all are presented as stationary and unyielding-beautiful works of natural art. Leigh adds various filters to his landscapes, further enhancing these shots, and seemingly hinting at brief remnants of brushstrokes on his digital painting. While some of these shots would have certainly benefitted from the use of film, the digital technology behind the film serves its purpose well and does not detract from audience enjoyment. Leigh's transitions are the only peaceful element of his film. Much like Turner's work, Leigh uses his sporadic editing (Turner was famous for his use of light) to expose the chaos of life. The narrative is challenging to follow, with only some of the pieces fitting together. Moments seem to pass like sand through an hourglass, and each has its own unique challenge. In a film so rich with visual beauty, the uncertain harshness of life provides the necessary conflict. Leigh presents Turner's life as being full of struggle (both inward and outward), with only brief glimpses of true beauty. 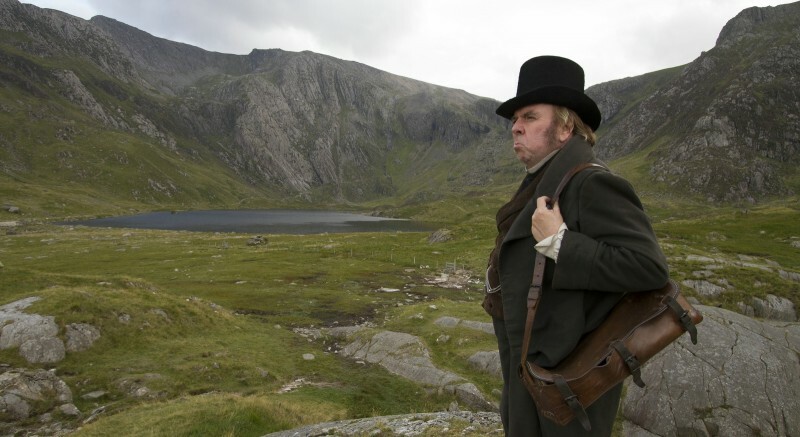 Mr. Turner is a challenging yet engaging look at the life of J.M.W. Turner, which offers a intrepid and realistic portrait of a man famous for his vivid depictions of the natural world.